Sometimes I am just too lazy to write out a recipe after I create something special. So the pics make the Random Bites category. 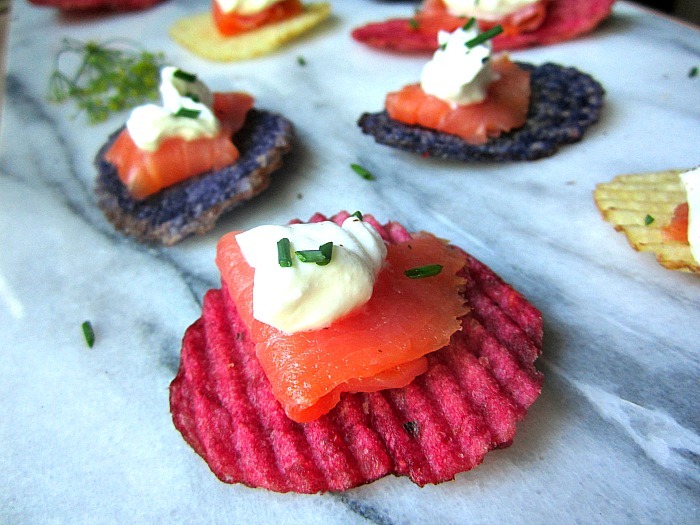 Remember these delicious potato chips with creme fraiche and smoked salmon from years back? I found red/white/blue chips and dabbed them w/ Greek yogurt this time and the salmon for the 4th of July. You can't make them too far ahead, but they are easy and delish. 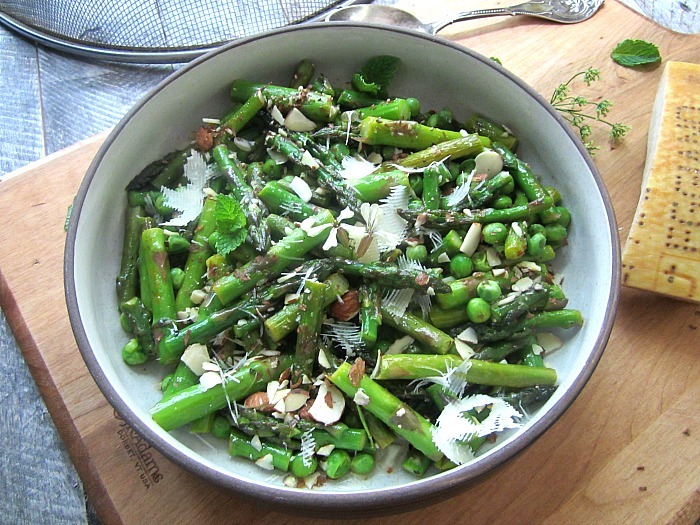 I am still finding asparagus at the farmer's market, but they will be gone soon, so I use them in everything I can. I made a delicious salad w/ seared crisp asparagus, peas, mint, dill, almonds and parmesan curls....with just a squeeze of lemon juice, olive oil, salt & pepper. 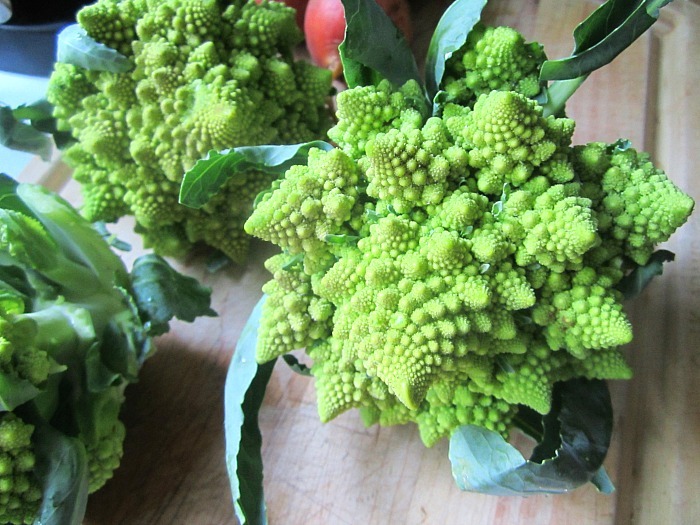 What is Romanesco? It is from another planet, by the looks of it. 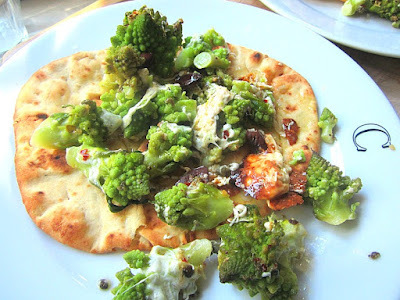 The taste is a cross between broccoli and cauliflower, but I just buy it because I like the funky look of it! Here, I made David Tanis' recipe from the NY Times, and dumped the leftovers on flatbread pizzas. Hope you are cooking up some delicious things this summer......Jersey tomato season is upon us, so stay tuned! I love bites! Some that I put together (usually at lunch) cause my husband to avert his eyes while he eats a sandwich. I discovered the wonders of potato chips when a friend at junior high school popped hers into her tuna salad sandwich (not to be done ahead of time for obvious reasons). Delish! Stacey, I read this on Twitter yesterday and used the pea salad idea to serve with a cold carrot-ginger soup. Good pairing. Thanks for the timely idea, the parmesan brought them together.